Bank of America is ramping up efforts to ensure its clients handle all their financial needs, from banking to wealth management, with one company. This week, the firm extended free trading to all clients on its loyalty program, Bank of America says. In the second quarter of this year, more than 5.25 million clients enrolled in the bank’s Preferred Rewards program -- which includes clients with accounts at Bank of America and the firm’s brokerage, Merrill Lynch -- will become eligible for commission-free online trades in stocks and ETFs through its self-directed trading platform Merrill Edge, according to a press release from Bank of America. The company began offering commission-free trades four years ago, but only to clients in the higher tiers of its loyalty program, Bank of America says. Preferred Rewards clients have more than $425 billion in combined banking and investment assets with Bank of America and Merrill Lynch, according to the press release. 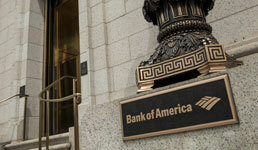 The recent announcement follows other initiatives at Bank of America to bring banking and wealth management closer together. Earlier this year, for example, Bank of America enabled the integration of banking and investing apps, allowing clients of both services to switch between the two apps without re-authenticating, according to the press release. And last year, Bank of America made a push to encourage Merrill Lynch brokers to cross-sell the bank’s products, as reported. The wirehouse began offering an extra 2% in pay when they met certain targets and referred clients to other areas of the bank. This made some advisors bristle, with at least one $1 billion team telling the Wall Street Journal in March that they left in part to avoid the pressure to cross-sell. But Merrill Lynch seemed to acknowledge this week that it may be difficult for some brokers to cross-sell Bank of America’s loans and checking accounts, according to AdvisorHub. The firm is relaxing a sales goal for advisors and managers in offices more than 10 miles from a physical Bank of America bank branch, according to a memo sent to advisors cited by the industry news website. Merrill Lynch’s 2019 compensation plan rose payouts to brokers on client bank accounts from 0.4% to 0.14%, AdvisorHub writes. But to collect on the offer, brokers normally have to ensure at least 40% of their clients used at least three of the four qualifying services, which include a fee-based account, a trust or insurance product, a loan and a checking account, according to the website. Now, brokers who are further away from Bank of America branches will receive double the credit on clients who have a loan or a checking account, which means they only have to sell one additional service to 40% of their clients to qualify for the higher payout, AdvisorHub writes. A Merrill Lynch spokesman declined to tell the website how many of its roughly 14,800 advisors qualify for the lower threshold.